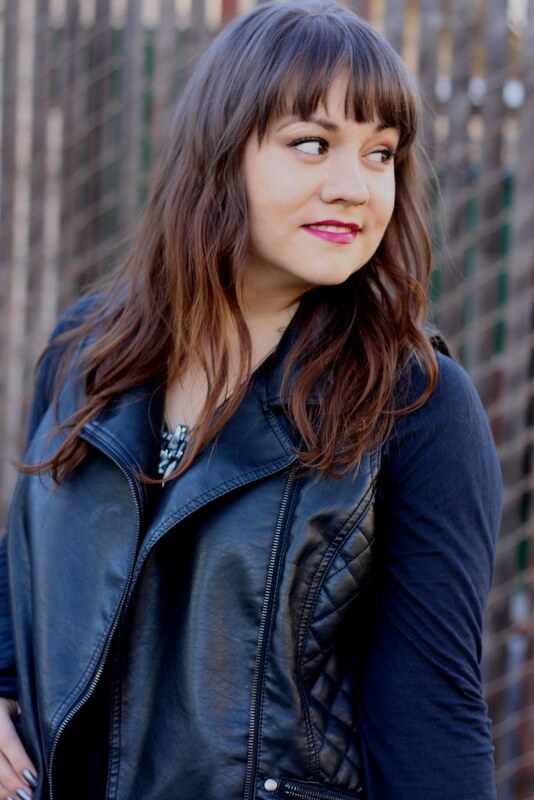 This outfit started with the quilted moto vest. I wasn't really sure what direction I wanted to go with the pieces I wore underneath, but ended up wearing a basic white wrap skirt and long sleeve black tee. I grabbed my well-loved black cut-out booties and it started taking on an edgy-tough vibe. 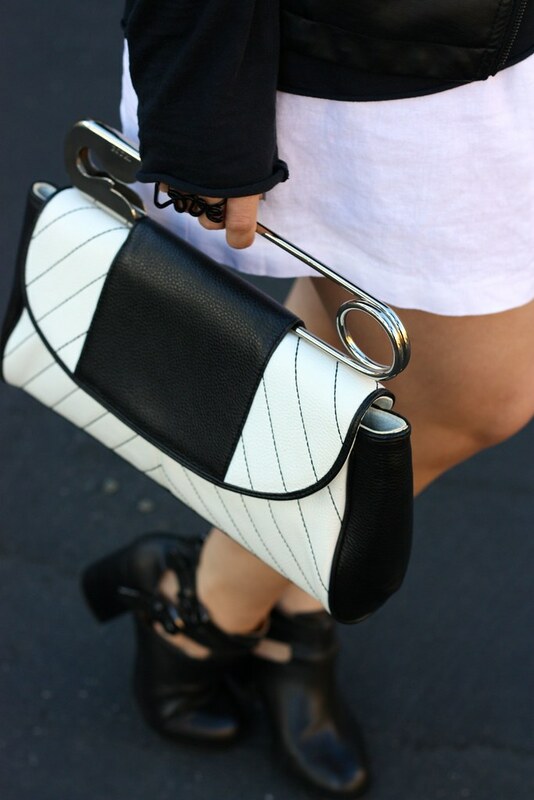 To take it all the way there, I pulled out my black and white 'Safety' clutch which gave it a bit of a punk vibe. Therefore I've dubbed this outfit's feel to be nouveau punk! That clutch is so cute - so different from the usual!